Real Escapes Properties is proud to offer 154 Gould Street. At the end of a cul-de-sac in one of the island's most beautiful neighborhoods, this upscale 4 bed, 4 bath home offers peaceful seclusion in an ideal location adjacent to the private Seaside golf course. This fantastic home features two bedrooms and baths on the first floor; two bedrooms and baths on the second plus a sitting room with sleeper sofa. Formal dining room; full kitchen; breakfast area; huge great room with gas fireplace are just a few of the ample spaces to R&R with family. 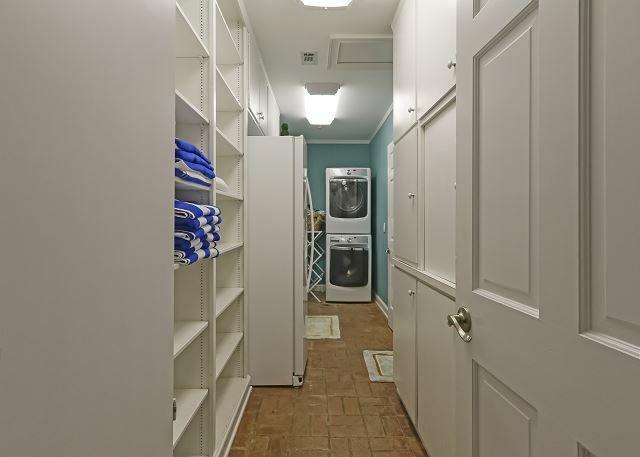 The home also has a large laundry/utility room with extra refrigerator. There is a wonderful pool and deck area with lots of room for entertaining. (pool heated for extra charge) 4 TVs, 1-DVD; wireless internet; gas grill. There are nearby public access points to the ocean & beach. It is less than a ten minute walk on the beach or down a quiet street to the historic Village with great restaurants, shops, pier, famous lighthouse and oceanfront Neptune Park. We loved the house! It was perfect location with walk to down and beautiful setting.